Across the city there are clear signs that Christmas is upon us. The twinkling lights of the streetlamp decorations have lit up the darkened nights, the scent of holiday balsam fills the air and the world famous window at the prestigious Maison Oglivy department store on Ste-Catherine Street has once again donned its gay apparel. 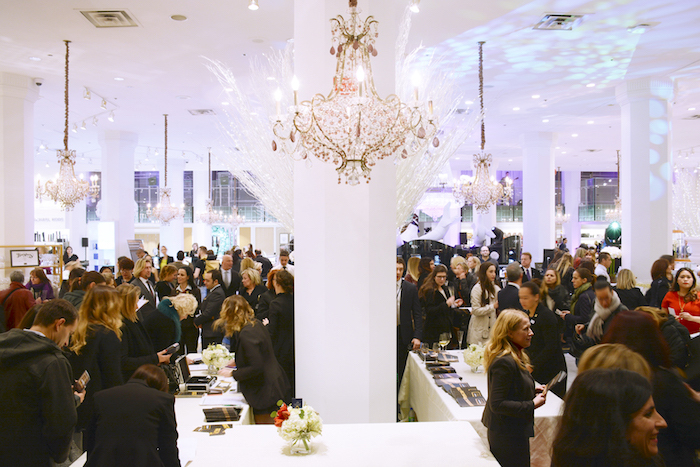 It’s the most wonderful time of the year and once again this year, Montreal’s society has come out in style for Ogilvy en fete, a once-a-year glamorous shopping event held at the world famous store in the name of raising funds for children’s charity. 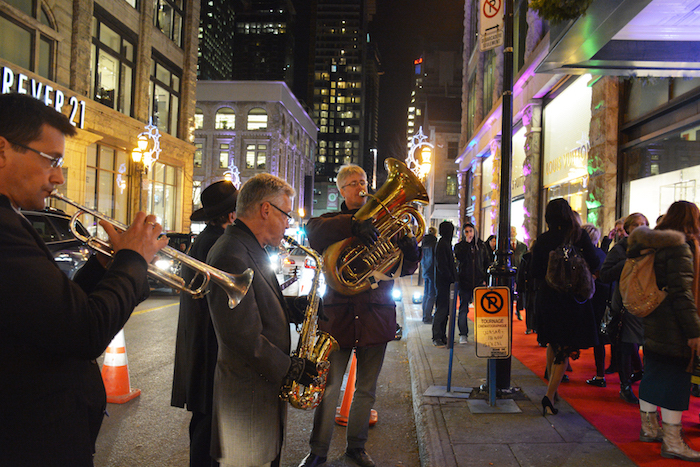 For the 6th annual Ogilvy en fête, the festive red carpet was rolled out onto the sidewalk that wraps around Ogilvy from Ste-Catherine Street to Drummond. Anxious shoppers and party-goers were lined up for hours to get in to the event that has become synonymous with helping children who are suffering from Cancer and other diseases. A percentage of the evenings sales were donated to the worthy cause and in the end over $250,000 dollars was raised for the CHU Ste-Justine’s Foundation. Since its inception, Ogilvy en fête has amassed more that $1.25 million in charitable funds. 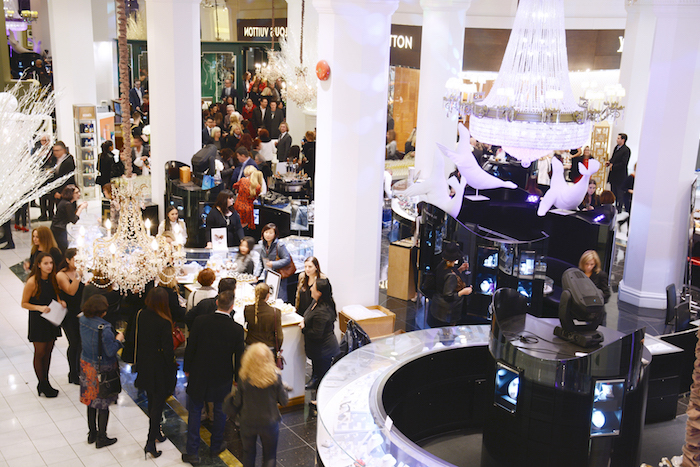 Shoppers, socialites, media and various celebrities all mingled up and down the store’s six fabulous floors. The night kicked off with a fun fashion show on the top floor and featured local celebrities and athletes. The show featured Joanne Vrakas, Wilder Weir, Francisco Randez, Marina Orsini, Joannie Rochette, Charles Hamelin and many more decked out in everything from Burberry and Hugo Boss to Michael Kors and Max Mara. 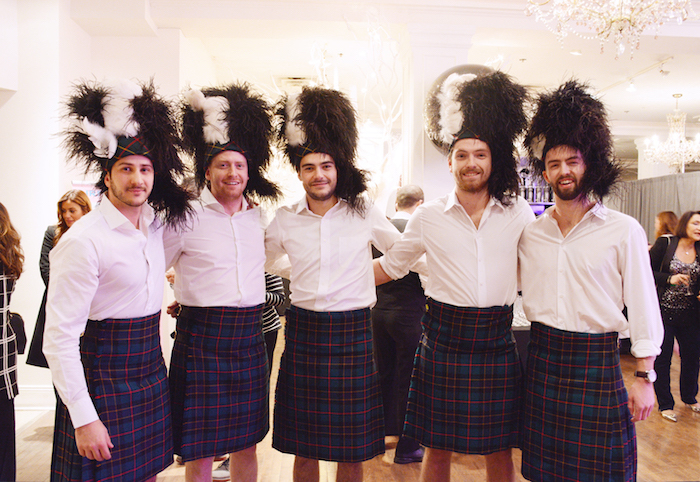 They had a blast strutting their stuff and showcasing looks from the latest Ogilvy catalogue. Attendance for the show was at capacity. Because an event in Montreal can’t happen without the best catering, restaurants like Buonanotte, 40 West and many more provided food stops along the way for the store’s hungry guests. There isn’t a better way to usher in the festive Holiday season than with a great event for an amazing cause. For more please visit Maison Ogilvy’s website here and to help out with the CHU Ste-Justine Foundation, click here.